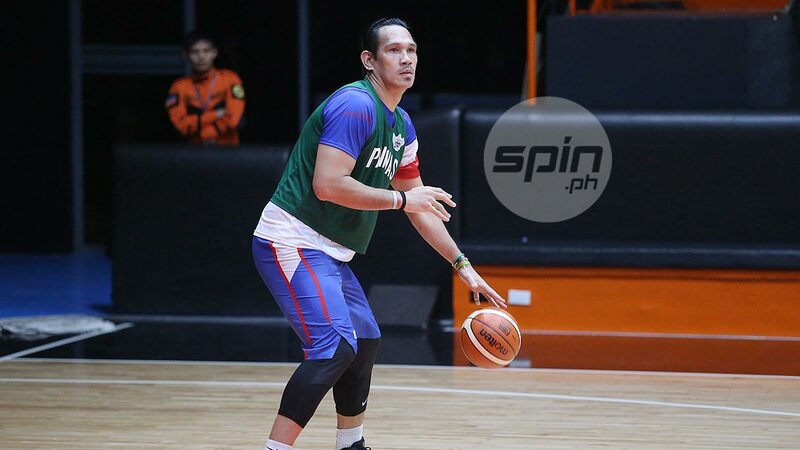 JUNE Mar Fajardo is back in the fold for Team Pilipinas on Tuesday evening at Meralco Gym as the national team continued its preparations for the sixth window of the 2019 Fiba World Cup Asian qualifiers next week. The five-time PBA MVP was back after missing Monday's session due to flu-like symptoms. He has made a full recovery from the flu bug that hit the Beermen hard and caused Marcio Lassiter to also miss a session with the national team last week. This time, though, the Beermen duo are back on the court as they were joined by Jayson Castro, Gabe Norwood, Paul Lee, Mark Barroca, JP Erram, Roger Pogoy, Troy Rosario, Raymond Almazan, and Thirdy Ravena as coach Yeng Guiao continued his buildup without naturalized center Andray Blatche. Japeth Aguilar and Scottie Thompson missed their second consecutive session as they have yet to return from Ginebra's team building in Davao. The two are expected to show up for Thursday's morning session. It was the national team's second training without Blatche, who flew back to China on Monday noon and will reunite with the team when they arrive in Doha on Sunday. The Philippines is preparing for a killer sixth window with both games set on the road, facing Qatar on Feb. 21 and Kazakhstan on Feb. 24. Gilas needs to sweep those games to rise from its current 5-5 win-loss slate to at least get a shot at advancing to the World Cup in August.